The closest the captions come to acknowledging that the Israeli army is facing off not against an unarmed civilian population teeming with children and women, but with an organization recognized as a terrorist group by the United States, armed to the teeth and trained by Iran, are two references to “Palestinian militants” accompanying photographs of Israeli soldiers in or next to the tunnels Hamas has dug to infiltrate into Israel. 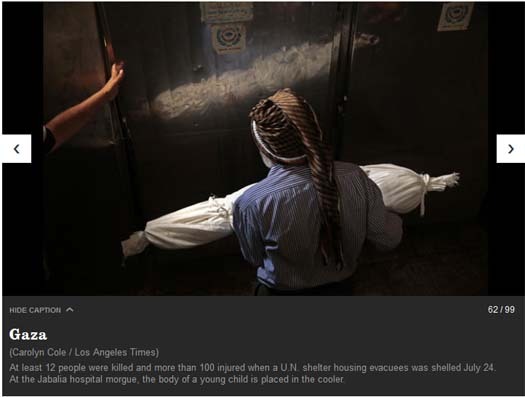 Nor do any of the 99 captions even mention the word Hamas. And the word “rocket” appears still just once. 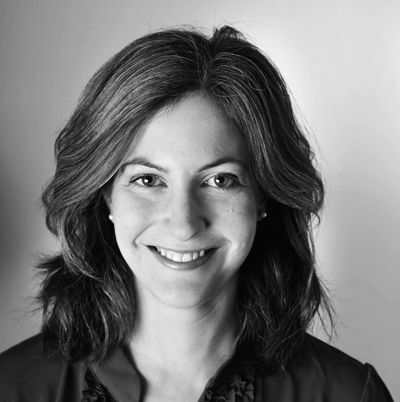 Thus, last week’s concerns regarding the one-sidedness of the collection — as if Israel is fighting a civilian population, and is not fighting an armed group recognized by the United States and European Unions as a terror organization which is bombarding it with rockets and sneaking across borders via tunnels — is only more valid given that the gallery is even larger. 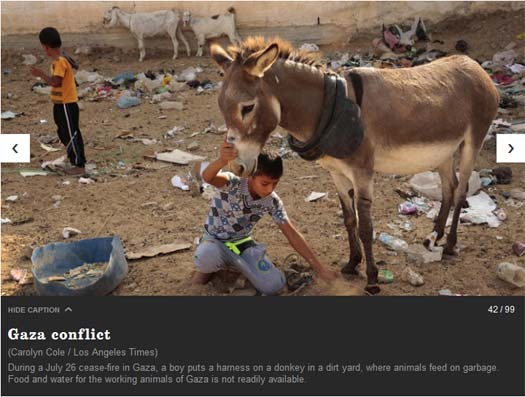 Thus, by the numbers, Israeli civilians are on par with animals in Gaza.There are also two photographs of hungry animals in Gaza — chickens that hadn’t been fed for a week, and a donkey scrounging at garbage. Do Times editors not know or not care that there are Israeli farms next to Gaza where the crops are untended due to ongoing rocket attacks and the infiltration tunnels which have been found right there in the agricultural fields? 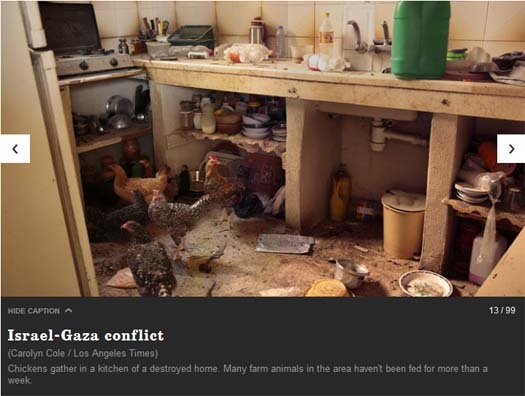 If a Times photographer ventured to the bombarded Israeli farms they may even find hungry Israeli chickens and cows there whose caretakers cannot get to them. Israeli farmers also have chickens and donkeys, and even children — children who have been sent away from their homes for weeks because of the Hamas terrorists who are trying to kill them. Children who have spent their entire lives running into bomb shelters. Can Times viewers expect to see pictures of Hamas terrorists, and the Israeli children they have traumatized and tried so hard to kill? 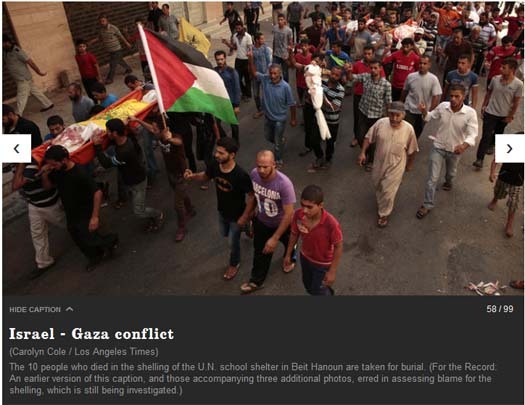 Following urging from CAMERA, Times editors have fixed some, but not all, of the unsubstantiated photo captions which had blamed Israel for the July 24 attack on an UNRWA school in Beit Hanoun, despite the fact that United Nations Secretary General Ban Ki-moon has himself stated that the circumstances behind the attack are unclear. After repeated requests, and after the Associated Press commendably corrected its captions, The Times captions have been amended.